Pope Francis has declared the death penalty "inadmissible" in an update of Catholic believers' most important guide to Church teaching, the catechism, the Vatican said Thursday. "The Church teaches, in the light of the Gospel, that 'the death penalty is inadmissible because it is an attack on the inviolability and dignity of the person'," the new text states. The move comes after decades of hardening opposition from the Church to capital punishment, with Francis and his predecessors Benedict XVI and John Paul II all making similar pleas for it to be stopped. John Paul II called for its abolition on a visit to the United States in 1999, while Benedict XVI said there was "the need to do everything possible to eliminate capital punishment," without ever going as far as to ask for an edit of the catechism. The Community of Sant'Egidio, an association that represents Christians in 70 countries and a long-time campaigner against the death penalty, expressed "joy" at the move. 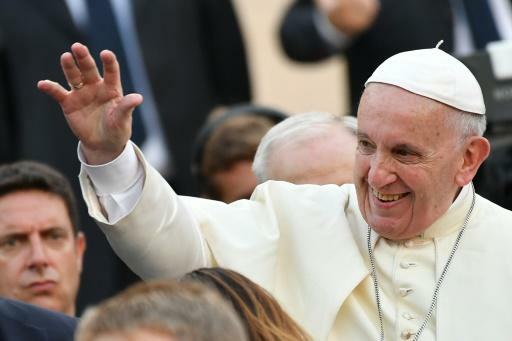 "The Pope's decision is a further push to the Church and Catholics, beginning with the Gospel, to respect the sacredness of human life and to work in every continent towards the abolishment of this inhuman practice," the association said. More than two-thirds of countries -- including most predominantly Catholic states -- have abolished or suspended judicial killings. However, human rights organisation Amnesty International recorded at least 2,591 death sentences in 53 countries and nearly 1,000 executions in 2017 alone. Amnesty says that those figures exclude China, which it claims does not make public announcements on the thousands of death sentences it passes. Francis approved the change to the catechism, which covers a wide range of moral and social issues, during a meeting in May with the head of the Congregation for the Doctrine of the Faith -- Cardinal Luis Ladaria -- the Church's doctrinal watchdog. In an explanatory letter to bishops, Ladaria says that the update highlights "the clearer awareness of the Church for the respect due to every human life". The update also says the Church will "work with determination" for the abolition of the death penalty worldwide, added Ladaria. 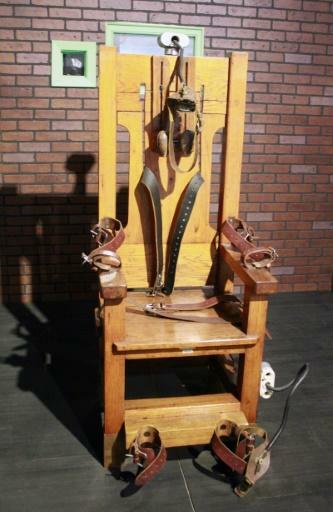 "Recourse to the death penalty on the part of legitimate authority, following a fair trial, was long considered an appropriate response to the gravity of certain crimes and an acceptable, albeit extreme, means of safeguarding the common good," the new text says. "Today, however, there is an increasing awareness that the dignity of the person is not lost even after the commission of very serious crimes." Francis has long opposed the death penalty, saying that the execution of a human being is fundamentally against the teachings of Christ because, by definition, it excludes the possibility of redemption. He has shown concern for prisoners, whom he regularly visits, advocating for their rehabilitation into society. Speaking in October, he acknowledged that the Vatican itself had historically had "recourse to the extreme and inhuman remedy" of judicial execution, but said past doctrinal errors should be put aside. "It doesn't give justice to victims, but it feeds vengeance," he said in June 2016, arguing that the biblical commandment "thou shall not kill" applies to the innocent as well as the guilty. Francis has also called for an "international consensus" on the abolition of capital punishment.